Blowfish Studio has today announced that it will be bringing its hybrid action strategy game Siegecraft Commander to the HTC Vive and Oculus Rift in Q3 2016. The game has been previously announced for the Xbox One and PS4. For more info head on over to the official website. Similar to the upcoming Xbox One, PlayStation 4 and PC versions of the game, the VR build will allow players to use a free-roaming camera to enjoy Siegecraft Commander. The VR version will feature a menu and HUD tailored to the HTC Vive and Oculus Rift and support either VR-supplementing controllers or gamepads in place of a mouse and keyboard. 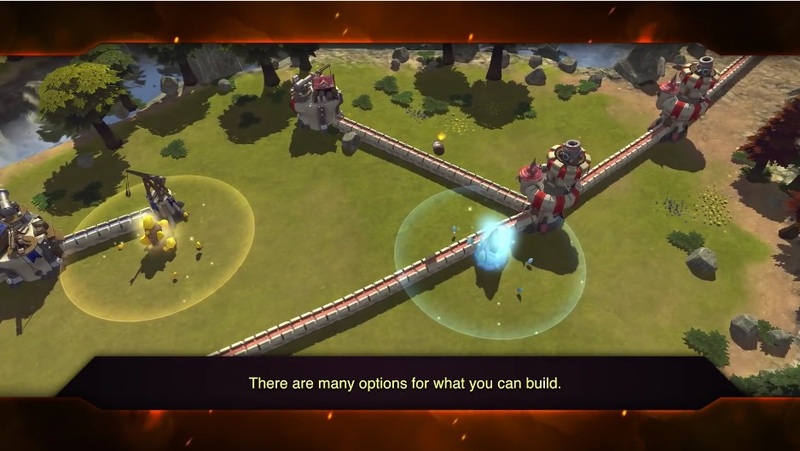 Players select between tactical turn-based or action-packed RTS gameplay before each PvP match, while single-player focuses on real-time play. Siegecraft Commander will offer cross-platform support where approved, allowing VR and non-VR gamers to face off against each other. Siegecraft Commander places tacticians in the thick of a two-sided battlefield with only one objective – destroying the enemy Keep. Players advance their conquest by strategically building a web of structures branching from their own Keep to protect their key base while working through enemy forces to destroy their opponent’s. Most towers have the capability of creating other buildings from it. When a player chooses to build a structure, they aim from the parent tower to shoot the new structure towards its destination. Once the new structure is deployed, a wall connecting the two towers is raised. If the parent building is destroyed, so too are any towers it helped create.